Two additional reports focus on model language for floodplain, zoning, and regulatory standards and on best practices for capital improvement planning. 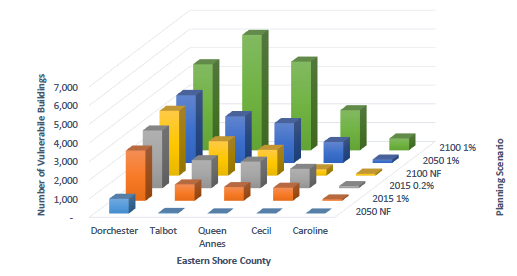 The reports are written for the Eastern Shore Climate Adaptation Partnership, a work group of local, state, academic and nonprofit staff helping communities address climate risks. See all three here. Eastern Shore Land Conservancy is a member of the Chesapeake Conservation Partnership. Weighing how a changing climate will influence the Chesapeake region and landscape conservation efforts is one priority of the Partnership.